Among changes (and changes of emphasis) in his first year, Defense Minister Sergey Shoygu stressed something as basic as shooting better. Putting metal on target more often. Something that takes time, practice, and money. 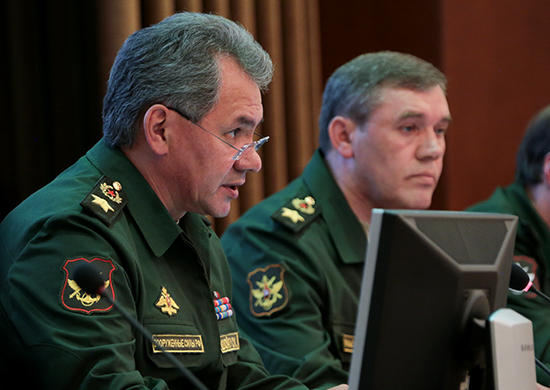 Shoygu broached the issue while reviewing last summer’s exercises in the Eastern and Central MDs. He and his subordinates mulled the irony that Russia destroys old munitions while not enough new ones are manufactured. Deputy Defense Minister Yuriy Borisov said more money is going to ammunition production. So, the military leadership is more occupied with the quantity than the quality of training. There’s a personnel policy connection here too, curiously unmentioned by the leadership. There are legions of former conscripts who rarely, if ever, fired live rounds from weapons locked in storage rooms of the barracks during their year of service. But the planned expansion of contract service should produce many enlisted who stay long enough not only to learn to shoot better themselves, but to teach other contractees and conscripts. Recently, Mil.ru reported that the Central MD’s Samara-based peacekeeping brigade [15th Independent Motorized Rifle Brigade] increased the effectiveness of fire training by 20 percent after introducing laser simulators into the process. This isn’t the first time the army’s used simulators, but it isn’t noted often. It shouldn’t be news. It’s been 34 years since the U.S. Army started using MILES. What’s surprising is how late this technology is reaching Russian troops. Mil.ru indicated the 15th IMRB got its simulators through new 2013 procurement. The system is standard fare. It looks a tad cumbersome, but it can reportedly be used with any infantry weapon, grenade launcher, or ATGM. Russia is not so far behind in the technological sense, but more so in simply producing and using laser simulators. One short dissertation says work on laser simulators began at TsKB Tochpribor in 1986. Simulators for infantry weapons, BMPs, and tanks were fielded quickly. The author concludes Soviet ones didn’t lag behind their U.S. or NATO counterparts. But (he doesn’t note) just around the corner were the USSR’s disintegration and a long hiatus in Russian military procurement. 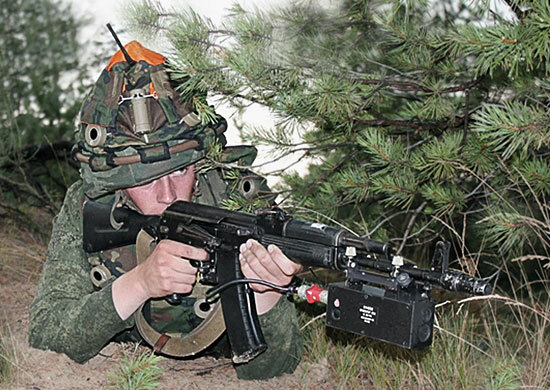 Still, Tochpribor stayed at the problem, developing new simulators (especially lighter ones) and an automated combined arms training system for up to 900 infantrymen and 180 combat vehicles called Barelef-SV, which passed state testing in 2008. But domestic development and production like Tochpribor’s cannot fare well against Germany’s Rheinmetall and its €100-million-plus contract to build Moscow a brigade-sized live combat simulation and marksmanship training center slated to open this year in Mulino. Parts of Russia’s defense industry are getting protection from the possibility of foreign competition (opened up by ex-Defense Minister Serdyukov), but apparently not this part. Not that Tochpribor and Rheinmetall are in the same league. The latter’s a world class designer and integrator of military simulators. A system like that intended for Mulino is network-intensive, and it’s probably beyond Tochpribor’s competence.